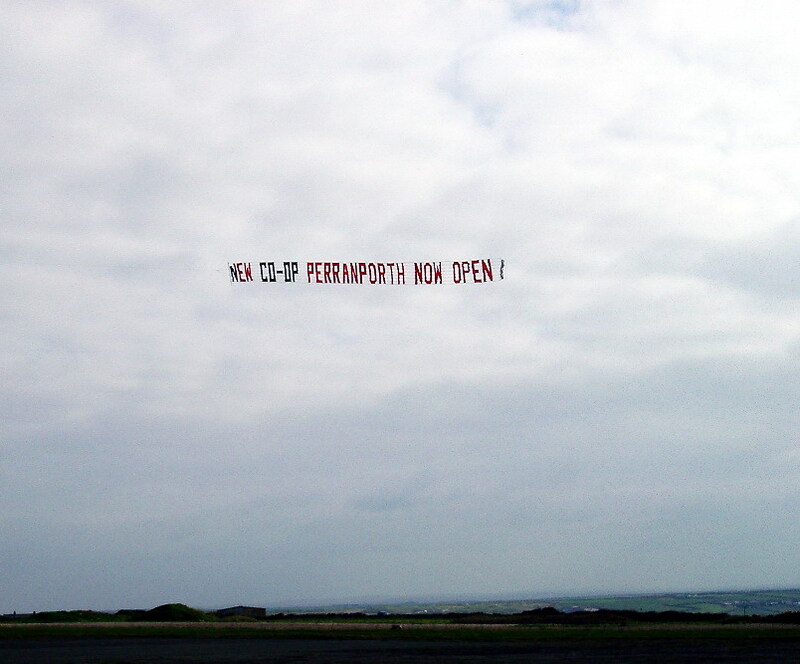 To Perranporth in Cornwall to announce the opening of a new Co-op supermarket in the town. Atlantic Surf and stunning views along the Cornish coast makes this a popular seaside holiday destination. 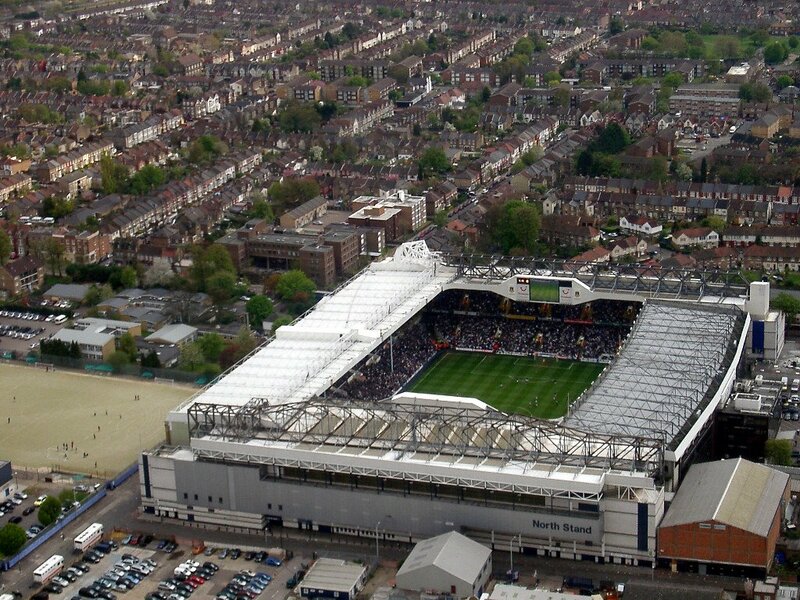 A successful flyby over St Mary's Stadium this afternoon. 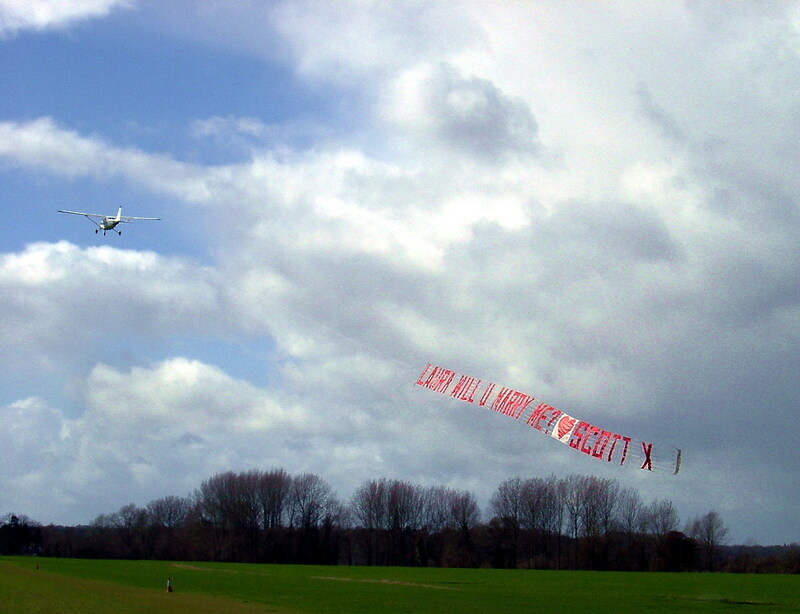 With the banner carrying the fans' message, "Time to Go, Rupert Lowe". Any lower and we would have been in the stadium. 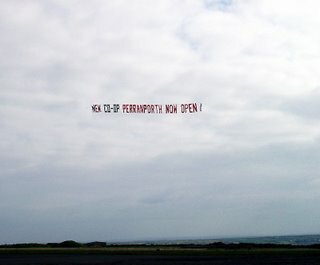 Much of the western and southern side of Southampton was covered but the north-east was barred because of incoming airport traffic. 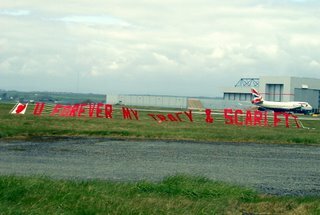 For all interested Saints fans this morning, Southampton Air Traffic Control has kindly given permission for the aircraft carrying the banner to position over the St Mary’s Stadium this afternoon. The weather looks promising with the forecast for a NW wind at around 10mph and broken cloud at 2,000 feet. 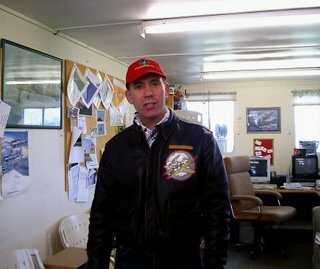 We will be leaving for Bembridge Isle of Wight at noon. I can see some activity from the various Saints fan sites rippling across this web page and so here’s some information for you all to counter any of the misinformation I’ve been reading. 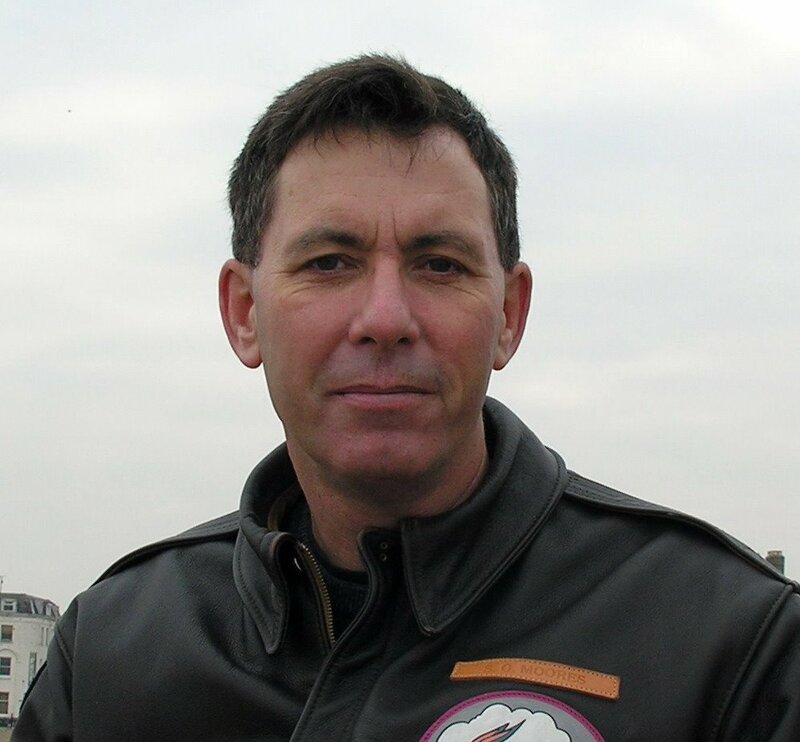 The aircraft will be operating from Bembridge, Isle of Wight as it’s much easier to pick-up from there and it’s out of the way of other operational traffic. I will be speaking to the SATCO, the senior ATC controller at Southampton airport in advance to ask permission to enter the control zone and log our aircraft details. We did this last time and ATC were fine about it, Saints fans I assume. 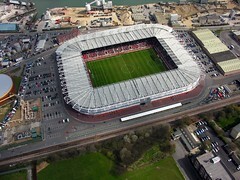 Flying time from Bembridge to St Mary’s stadium is approximately ten minutes. We will aim to pick up the banner by 14:45 latest and will loiter over Portsmouth before heading for the stadium for 15:05, as long as the weather and the ATC are kind. 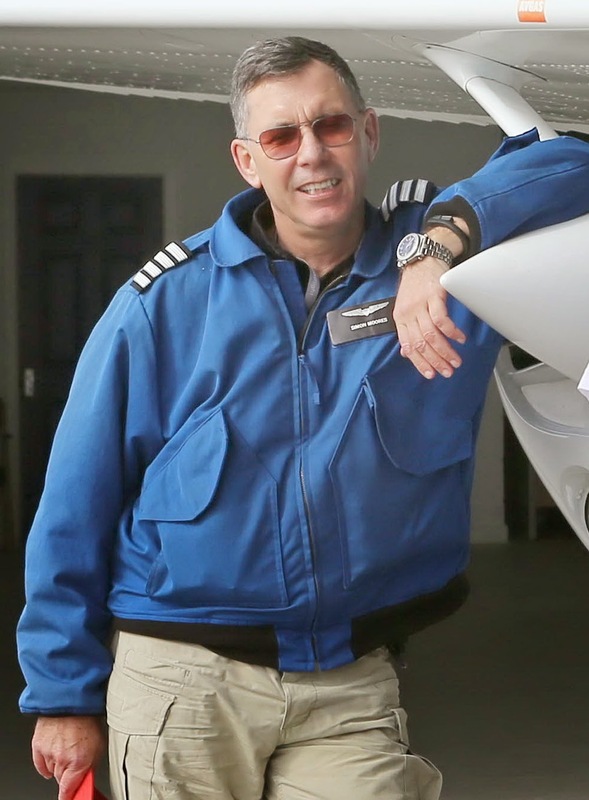 If there is a large passenger aircraft coming into the airport at that time we may be held. 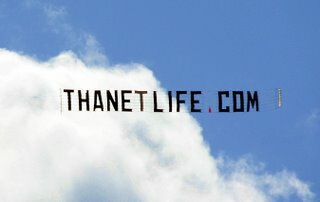 From the stadium and with the permission of ATC we will fly the banner across the city before returning to Bembridge for the drop. If you have any questions please ask and I’ll attempt to answer before Monday! I can see that the Weblog is being visited regularly by Southampton Football Club fans from across the world, possibly to see if the banner flight is on for this coming Bank Holiday Monday; the match against Millwall. The long term forecast for Monday looks promising and we are set for the display to appear over St Mary’s stadium at 3:05pm. Any changes to plan and I’ll let you know. Give us a big cheer if we get there. I’ll be filming it from the air and will put the video of everyone waving – I hope – on this Weblog to look at. Wish us and the weather good luck! 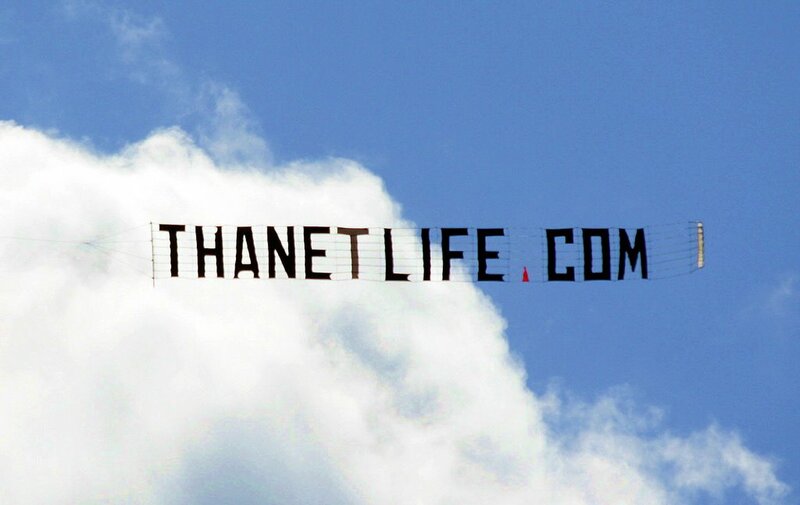 Flying the banner for "ThanetLife" a new online community publication for the Isle of Thanet in Kent. 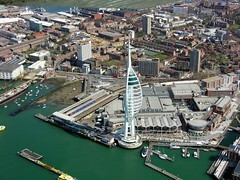 We've been over at Portsmouth today, towing a banner for the 250,000 visitor celebrations for the Spinnaker Tower. Lots of photos here of the famous tower, HMS Victory, HMS Warrior and more, so follow the link to see more. Our apologies to tens of thousands of Southampton fans this afternoon. We had three attempts to pick-up your banner, "Time to go, Rupert Lowe" this afternoon at Bembridge but the rising gale-force wind and turbulence from the surrounding hills, simply made the exercise impossible and increasingly dangerous. With luck, we'll be trying again in two weeks the Millwall Game on April 17th but we understand your disappointment and that of the media, BBC, Sky and others. Some good news, for someone at least. 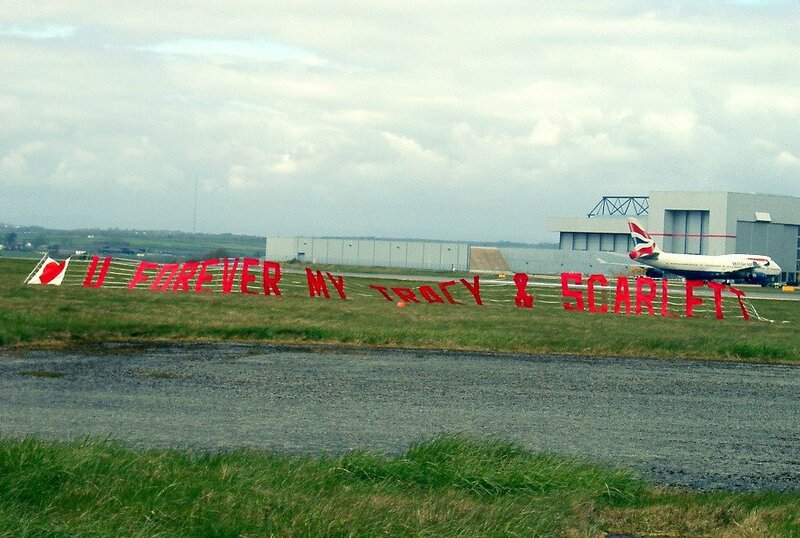 A young lady, Corinna of Bexhill, was proposed to with a banner this morning and she said "Yes". A good result on a day with a very disappointing ending.